Experience the vastness of nature and diversity of culture in the southern hemisphere. A land of ice and snow…. visit the Antarctic and witness the power and wild beauty of nature. Visit the mysterious islands of Madagascar and Rapa Nui (Easter Island) to encounter their unique landscapes and heritage.Embrace the rich diversity of Africa.Feel the energy of South America, from the Andes to the streets of Buenos Aires. Relax on the pristine beaches of the Indian and South Pacific Oceans.There is something for everyone to discover on a cruise around the Southern Hemisphere. 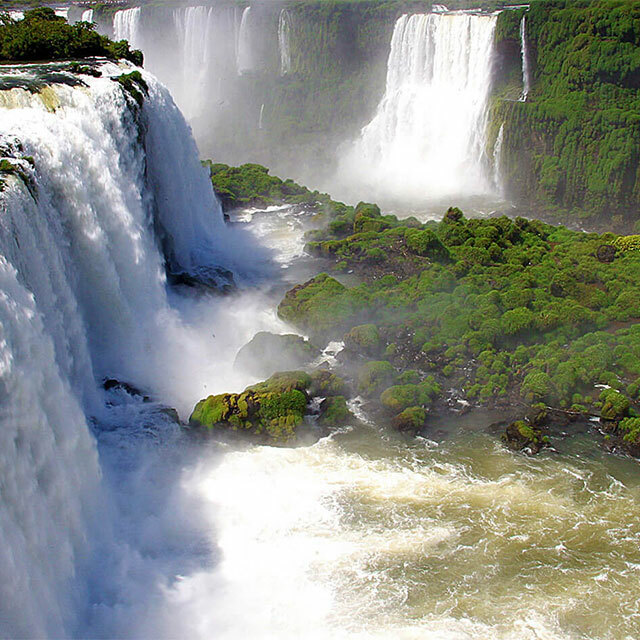 Visit remote world heritage sites such as Iguazu Falls, Machu Picchu and Easter Island. Visit the world’s last frontier, Antarctica. 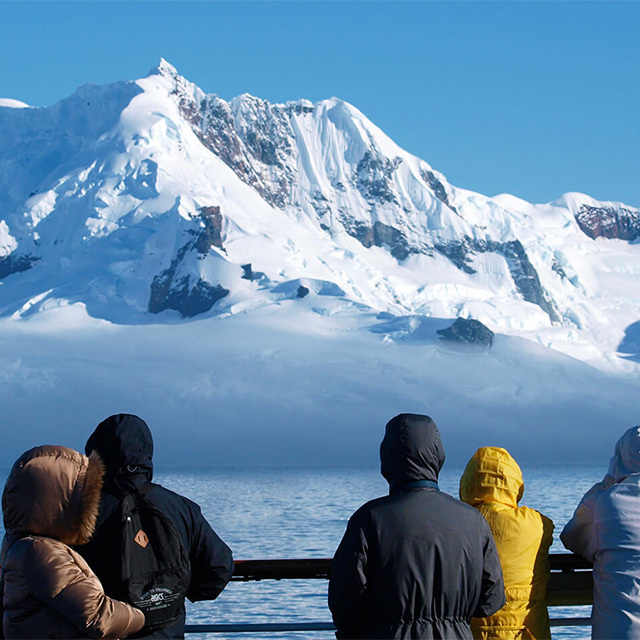 Witness the great nature of our planet's wildest continent, including beautifully sculpted icebergs and rich wildlife. Celebrate New Years at sea! 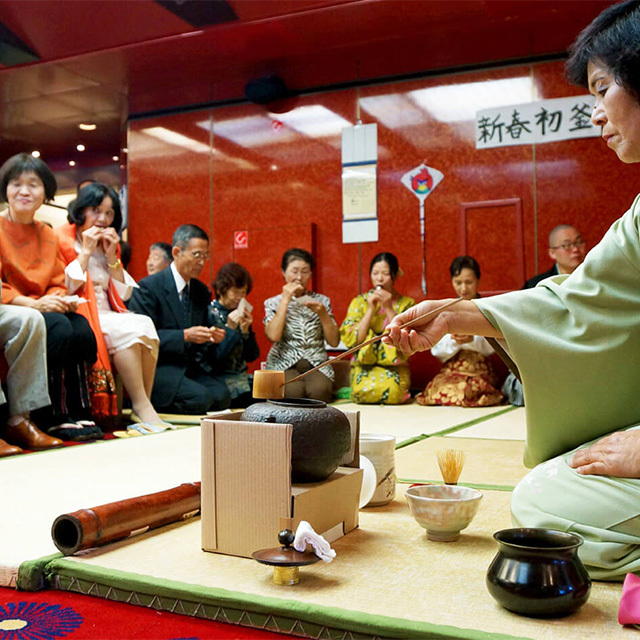 Since its first voyage in 1983, Peace Boat has chartered a number of passenger ships to organize our voyages, adapting the onboard spaces to provide a unique and dynamic environment for its participants. Our current ship, the Ocean Dream, was built in 1981 in Denmark, and has excellent facilities providing a unique and dynamic environment for the Peace Boat experience. Although it may look like a regular cruise from the outside, a Peace Boat voyage is very different from the traditional model. Whether traveling with family or friends, there is a wide range of cabins to match every lifestyle and budget. Registered Travel Agency No.617 approved by the Commissioner of Japan Tourism Agency. Copyright (c) JAPAN GRACE CO.,Ltd. All Rights Reserved.